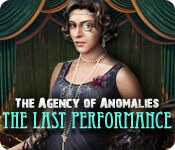 The Agency of Anomalies: The Last Performance is rated 4.0 out of 5 by 37. Rated 5 out of 5 by JustTheFacts from A Masterful Performance FROM CE GAME COMPLETED SEVERAL TIMES I like this game, the third in a really good series of paranormal tales. As well as innovative views of HOs, like silhouettes one time, return items the next, and some standard list HOs, we also get some really odd special powers. 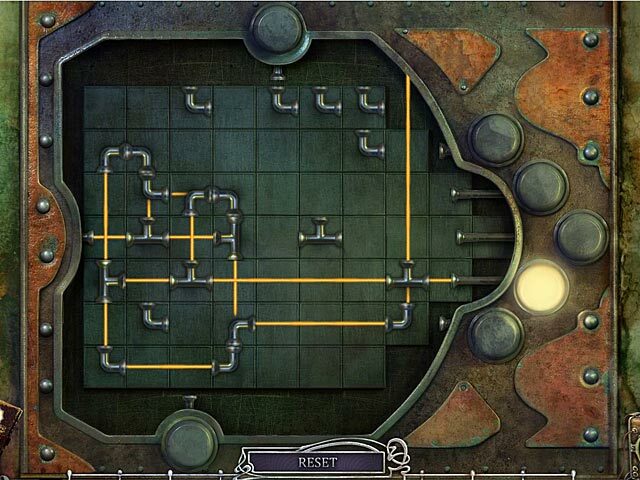 The puzzles are equally mind bending and imaginative, and many I found quite tricky. The crystal ball that other reviewers mention is a good example of the kind of ‘different’ I mean. As with the previous instalment, this was absolutely gorgeous artistically, and for that alone worth playing. I’m rather ‘over’ carnivals, and therefore was very pleasantly surprised with the originality of characters, their predicaments and their visuals, all were excellent and new. Everything about this game feels original and alive. Rated 5 out of 5 by spearmaiden77 from Love the Agency games Great game. Very challenging. Interesting story and graphics. Definitely recommend. Rated 5 out of 5 by Weedance from Surprisingly tricky, weird and fun Great game, but quite difficult in places. The graphics were awesome and I especially like the cursor interaction. There is a LOT of tooing and froing, so try to remember where things are. Your diary is moderately helpful, but the strategy guide is only PC (why is that so when the game is MAC?) and the blog walkthrough only gives you answers, not explanations. Example - where did that strange solution to the safe combination of numbers and playing cards come from towards the end of the game? I still can't figure that one out. It took me hours and hours, but happily so - i love a good challenge and this is certainly one. Rated 5 out of 5 by relayerplayer2 from imaginative gameplay..... The graphics are amazingly detailed, Puzzles are a bit challenging but that's better than easy right? One of the best hidden object games I've every played. Rated 5 out of 5 by grunny50 from Loved this game! Hours and hours and hours of play. I REALLY liked this one. Full of puzzles and HOS's and story, and characters. Well done. Rated 5 out of 5 by mahbah55 from Great addition to the "Agency" games! I loved the other two Agency of Anomalies games, and this one did not disappoint. The setting, game play, and characters were fantastic. Rated 5 out of 5 by Me_Too_2 from Loved this game Great puzzles, lots of twists & turns to the storyline. Rated 5 out of 5 by beachmike from Another Excellent Anomoly Game Review is based on the entire SE game. I thought this was the best of the Anomoly series, although I thought they were all excellent games. The story was pretty good and kept me interested throughout. Graphics were very good; sharp and very colorful and well done. Good cut scenes and the voice overs were good. A good mix of HOS and puzzles. There are three types of HOS and they were well done and not that difficult. If you like long games, you'll love this one. Lots to do and plenty of locations to visit. A map would have been useful as there are plenty of locations to visit so you need to do a little remembering. Puzzles ran the range of easy to a bit difficult, but you can always skip a puzzle if needed, and I would not recommend this game for beginners. All in all a nice challenging game at times, which will keep you plenty busy for a while. 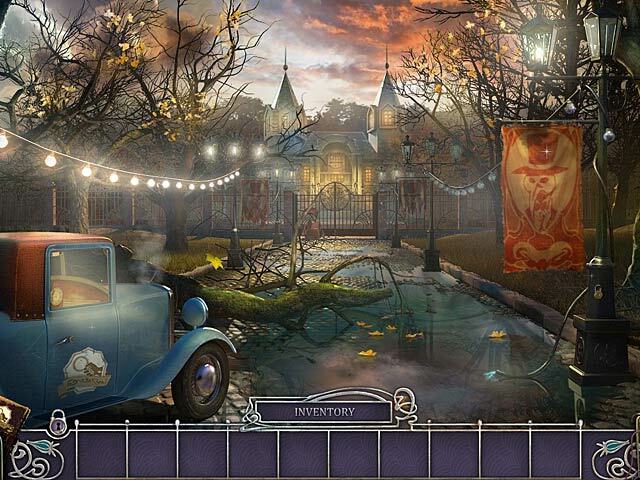 Rated 5 out of 5 by TickleMePlz from fun hidden object game Loved all about it EVERYTHING!!! Rated 5 out of 5 by turtlemania from Turtlemania Graphics were excellent and I enjoyed playing the game. 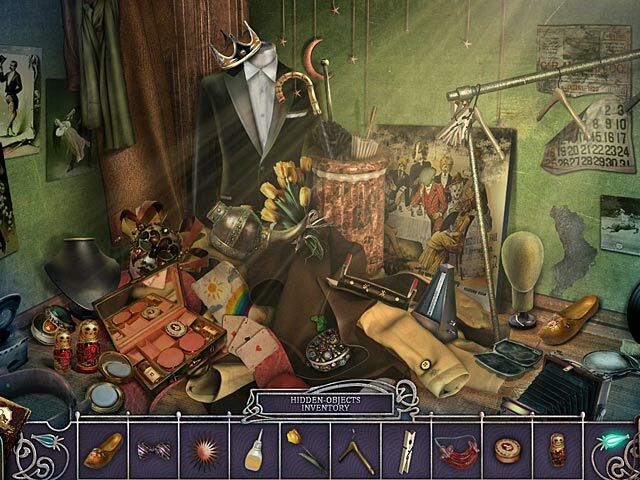 Hidden objects were not asx simple to find as they are in some games.